There are a lot of ‘choice’ photo opportunities at Grauman’s Chinese Theatre. I fall prey to it, too. I have photos of Marilyn Monroe & Jane Russell’s tiny heel prints prints & Johnny Depp’s boot prints. There was one star I couldn’t help but notice…the star everyone stood on to take photos of Michael Jackson’s star on the Walk of Fame. Weird, right? Lefty Frizzell was an amazing country singer & inspired many people still on truckin’. 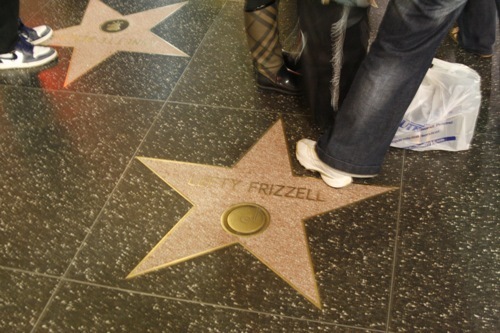 I couldn’t resist taking a photo of his star since no one else was…another instance of Charlie Brown syndrome.